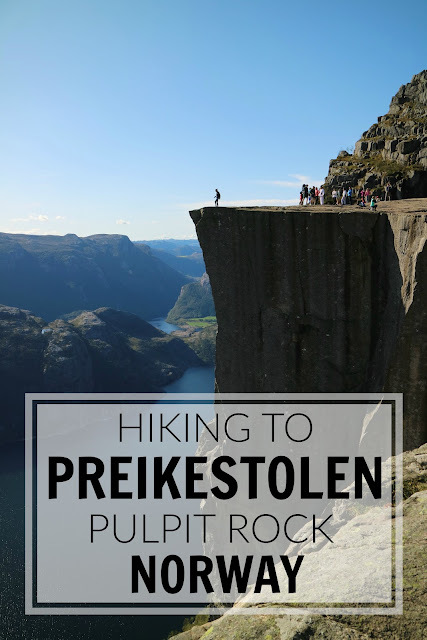 Life of Libby | Travel & Lifestyle: How To Hike To Pulpit Rock In Norway! Most visitors stay in Stavanger the night before and then head to Pulpit Rock the following morning. During the peak season (April to September) you can get the ferry from Fiskepirterminalen in Stavanger to Tau, and then a bus from Tau to the Preikestolen car park. The car park is where the hike begins. The bus leaves Tau right outside the exit from the ferry, so there's no way you can miss it! We got on the 8am ferry from Stavanger to Tau and then the 08:40am bus to the car park. We then started the hike at 09:15am. You can buy a round trip ticket that includes the ferry and the bus for 320 NOK here. Who can do the hike? Anyone with average fitness levels and is able to walk for a couple of hours can do this hike! It's considered to be one of the easiest hikes in Norway that even children can do. We saw plenty of families on the hike, and even parents carrying babies strapped to their backs. The overall hike is 6km long (3 kilometres up + 3 back down). It's recommended it takes two hours up, and then another two hours to walk back down. We spoke to some people that took slightly longer, but it took us just over 1 hour and 30 minutes to reach the top. We then spent 1 hour at the top taking photographs and eating lunch, and then almost two hours to walk back down as we took more breaks. There are three steep sections throughout the hike with a mixture of flatter parts as well. Most of the journey is hiking up rocks that have been made into makeshift steps (see above photos), which I definitely found easier than walking up steep hills. To avoid the crowds, hike on a weekday and start early in the morning. It's not advised to do the hike during the winter months. Take food and drink with you. There are no places to buy refreshments after you leave the cafe and car park area. There are also no toilet facilities throughout the hike. Wear hiking boots! Yes, we saw some people walking in trainers, but I was definitely glad to have the extra ankle support. For clothing I wore my gym leggings and a t-shirt. Overall the hike to Pulpit Rock is an incredible experience and was my favourite day in Norway. 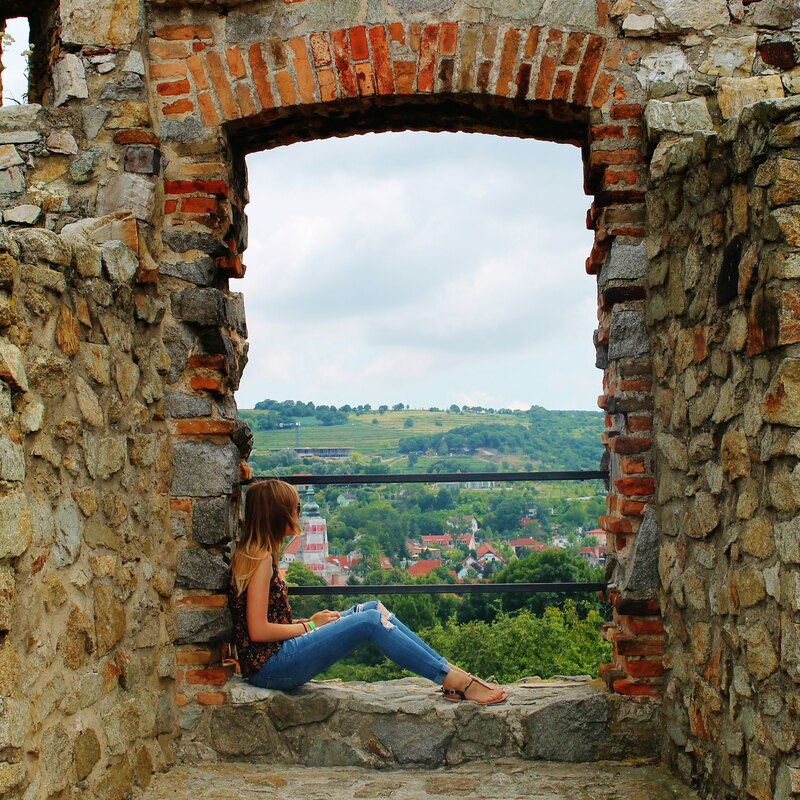 The views at the top and along the way are beautiful! This was my first ever hike and I would definitely recommend it to anyone wanting to dip their toes into the world of hiking.